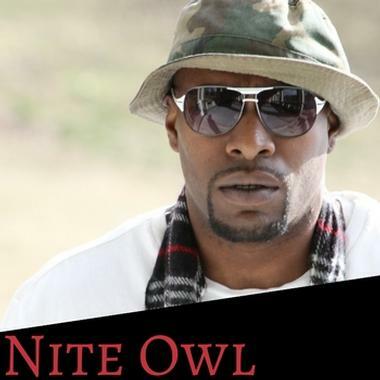 Nite Owl has been booked to perform live more than any other Hip Hop artist or group from Missouri. To date, he has released 17 independent albums and has opened for The Roots, Talib Kweli and Little Brother, and Waka Flocka Flame. Nite Owl took home first place in the HOT 104.1FM Koch Madness Competition, after competing with 208 other artists. With a style that embodies the integrity of underground lyrical Hip Hop music, paired with the characteristics of mass commercial appeal, he is often compared to Kanye West, Common, and Jay-Z.